Fresh turkey shouldn't be kept for two or more days in the freezer. Frozen turkey ought to be less than two weeks old. The giblets must be removed and stored individually while keeping fresh turkey. This may be assessed by using an internal meat thermometer. 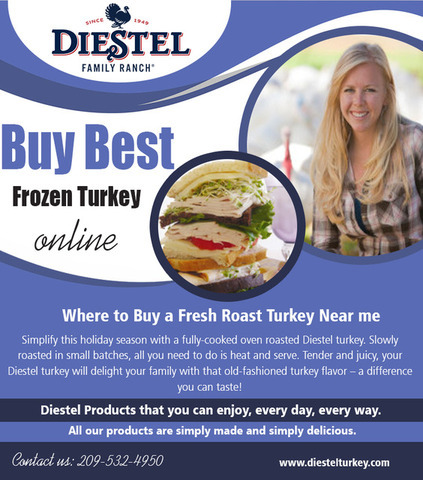 Buy best frozen turkey online at reduced cost offers.